24 Calle Raval, Benissiva, Alicante, Valencia Province, Spain. 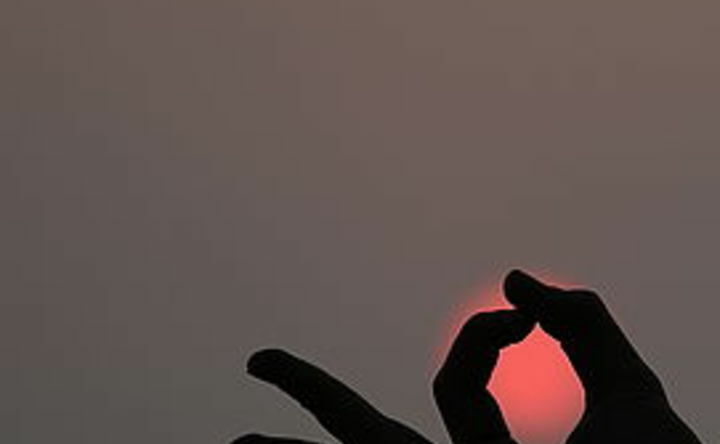 Yoga Sutra Shala is your Yoga Retreat Centre in Spain for learning Vinyasa Yoga. We pride ourselves on being the most unique yoga retreat centre in the world and giving you the best of what the world has to offer in terms of yoga, meditation, health, nutrition, organic food, relaxation, peace, mountain views, fresh air and everything else you can expect to find. From your first day here we want you to feel as if you are at home and yet at a special place of peace. You will find yourself in a very friendly atmosphere and you will make friends with others like yourself from around the world. 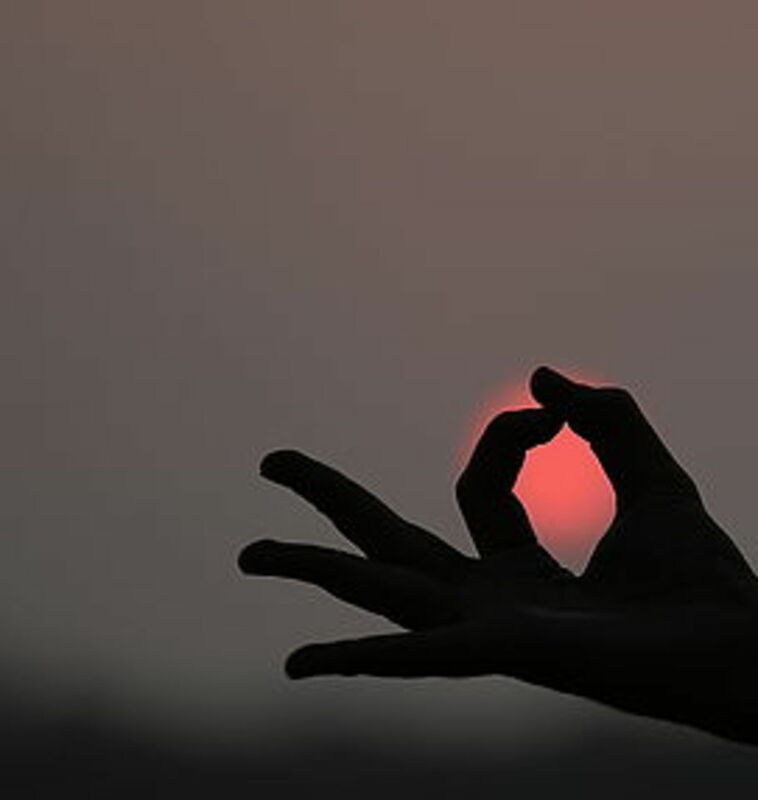 Your yoga retreat centre or “shala” (meaning ‘place of refuge’ in Sanskrit), is one of the most unique places for finding inner peace: A special place that exists in the world, where you can develop how you want to. Your shala is a place to escape stress and learn to become relaxed, healthy and happy. The founder of your yoga retreat centre, Namit, has a strong family tradition of yoga and has studied yoga all over the world, including in his native India. His background as a leading health professional allows him to apply and explain the health benefits of yoga scientifically and to a high level. As a result, his teaching system at Yoga Sutra Shala is one of the most developed, traditional, respected and original systems in the world. You will find that your yoga retreat is designed towards your wants and needs – to help you develop as an individual. Your retreat opens on Sunday at 2pm with a delicious welcome lunch. You have the afternoon to settle in and your first yoga class is in the early evening. On Friday you have your last yoga class, followed by a farewell brunch at 11am. Your retreat closes at around 1pm. We observe silence in the mornings until after breakfast. At Yoga Sutra Shala, the system of teaching is based upon personalising the classes towards your needs and desires to help you learn and develop as you want to so please let us know if you want us to focus on any particular aspect of yoga during your stay with us. Note that all the classes are optional during your yoga retreat. We want you to develop at your own pace and we want you to enjoy every moment of your stay with us. It was a truly wonderful experience with the perfect combination of activities, imparting of knowledge and practical techniques to support mind body and soul in such a stunning location by truly lovely warm people. The food was terrific too! Everything was just perfect. Yoga Sutra Shala Retreat is set in a beautifully restored, historic, Arabic farm house in rural Valencia, in a hamlet called Benissiva, surrounded by stunning countryside and mountains. There is a solar-heated swimming pool and extensive gardens with olive and orange groves to enjoy. 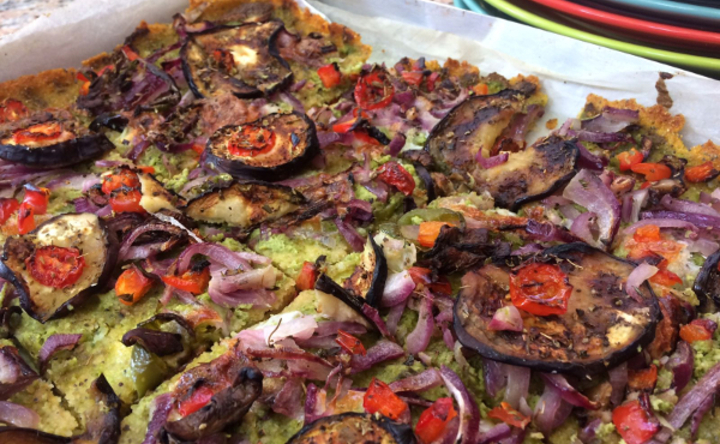 We provide superb, healthy, organic vegetarian meals. Our produce is sourced from farms in the surrounding area, so it is fresh, tasty and healthy. 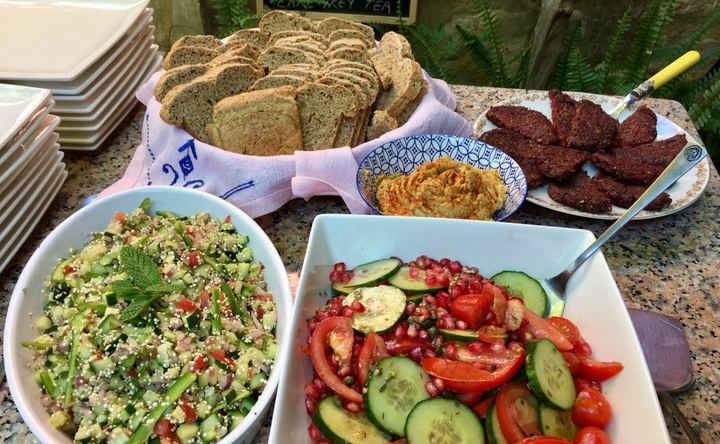 These meat-free meals are whole, balanced and organic, and in combination with the mountain air, incredible views and our lovely shala, you will return home thoroughly refreshed and full of a new energy! 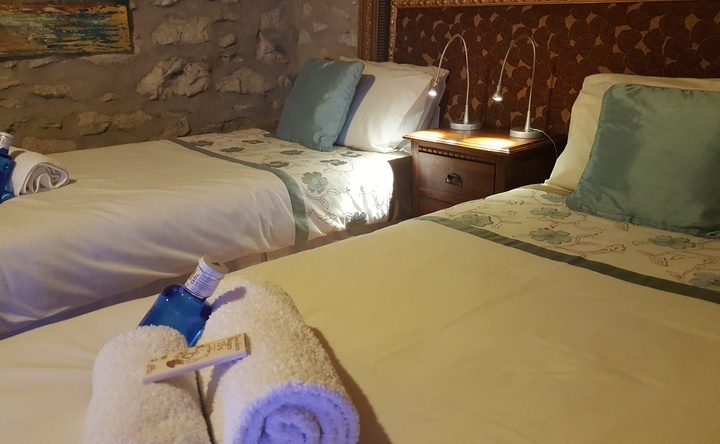 There are 8 bedrooms - twin (2 single beds) and couples (1 double bed) - all of which are en-suite, have aircon and some of which have balconies, with beautiful views. All rooms can be reserved for single occupancy. We provide all bed linen, towels, organic body wash and organic shampoo. Each bathroom has a hair-dryer. For your convenience we arrange a shuttle bus transfer between Alicante airport (ALC) and the retreat, at a cost of 30€ per person, each way. This journey takes around 1 hour and 40 minutes. It leaves ALC at 12.00 on Sunday and returns to ALC at around 15.00 on Friday. From Valencia airport (VLC), via the bus station in the city, it is possible to travel by coach to the coastal town closest to us, called Oliva. Taxis between Oliva and the retreat cost around 30€ each way. This journey takes, in full, around 3 hours each way. Alternatively we can organise your transfers with a local driver, at competitive rates. There are no public transport services to Benissiva. Oliva is the closest town you can reach using public transport. Here at Yoga Sutra Shala we aim to provide you with excellence at every level during your yoga retreat stay, as well as providing you with the feeling of having a special home away from home, available to you all year round.We pride ourselves on being the most unique yoga retreat centre in the world, giving you the best of yoga, meditation, health, nutrition, organic food, relaxation, peace, mountain views and walks, fresh air and a helpful, friendly, family atmosphere.Your yoga teachers have travelled the world learning from experienced yogis in order to give you the best in yoga knowledge that the world has to offer. The founder of the retreat, Namit, has also studied nutrition and all our yoga teachers have a deep interest in caring for the body naturally.As Hippocrates said "Let thy food be thy medicine and medicine be thy food".All meals are freshly prepared at the retreat, using organic whole grains, cereals and seeds and organic produce sourced from local farms.On your retreat with us, you will have the most delicious and healthy plant-based meals available on any yoga retreat, while also benefiting from the sharing of knowledge:Medicine for the body and for the mind.Add to this the weather, the mountain views and the beautiful “shala” (sacred space or home) and you can understand why we are developing the reputation for giving you the best yoga retreat in the world.Namit has a strong family tradition of yoga and has studied yoga in many countries, including in his native India. His background as a leading health professional allows him to apply and explain the health benefits of yoga scientifically and to a high level. As a result, his teaching system at Yoga Sutra Shala is one of the most developed, traditional, respected and original systems in the world.Having travelled extensively without discovering the one perfect place for finding inner peace, Namit and his wife, Maru, established Yoga Sutra Shala to be the ideal place for finding peace within yourself; a place for learning to live and eat healthily, with the added comfort of feeling completely at home.The variety of nationalities and the friendly atmosphere here means that from your first day with us you will enjoy meeting and making friends with others like yourself from around the world.Your yoga shala is a place to escape stress and learn to become more relaxed, happy and healthy. Your yoga retreat is designed towards meeting your needs and helping you develop as an individual, at your own pace. Clara has been working with people her whole life. She understands and feels the needs of others, which makes her able to adapt her classes and help people to feel safe, supported and guided. ​ She worked for many years as a sports teacher in schools and in sports education, in the gym as a fitness and personal trainer and organising outdoor boot-camps and judo workshops. Teaching and working with people and their bodies has always been what she loves the most and does best. It also helps her to remind herself to take care of her own body and soul. ​ Suddenly becoming very ill with Lyme’s disease, Clara had to adapt her lifestyle in many ways. This was a very difficult period in her life, with many changes and beautiful life lessons.She began to focus and deepen into herself more with yoga, meditation and nutrition and her health improved amazingly. This personal experience of the benefits of yoga, meditation and healthy eating, together with her yoga teacher training (with Quaternity Yoga School), have convinced Clara that these are important keys for returning to health from many dis-eases, including anxiety, sleeping disorders, panic attacks, stress disorders, depression etc. ​ Clara likes to travel around the world learning and teaching more about how to improve health and connect with the body and soul, finding love and inner peace. 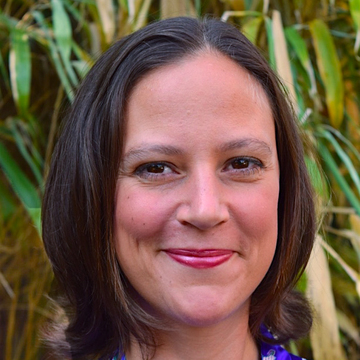 In her yoga classes Clara focuses on creating a safe, supportive and relaxed environment, where her students can be themselves and can really open up. She likes to remind people how important it is to take time for themselves; to take good care of their bodies and souls; to love themselves for who they are – with all their perfections and imperfections; to identify with their inner and outer beauty; and to nurture self-love. 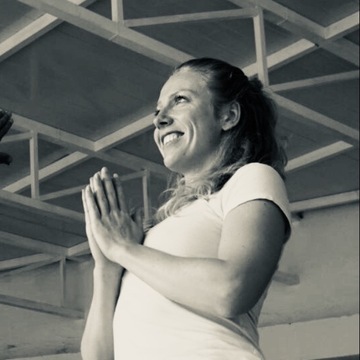 Most of all Clara is a very enthusiastic, warm and open yoga teacher, who can really motivate you to bring movement in to your body and your mind and to bring you to a higher level – a step closer to who you really are and who you can be. Lu left her job and her life in England in 2016 to travel the world and find a new life-path. During her year in India, she threw herself into learning yoga, ayurveda and all things spiritual from experienced yogis, to gain as much knowledge as possible into what yoga really means. She visited ashrams, learnt from recognised teachers in Rishikesh (the ‘birthplace’ of yoga) and learnt traditional Hatha Yoga from an experienced local yogi in the mountains of Tamil Nadu, a state in Southern India. Believing in the use of yoga as a tool to help manage and heal physical and mental illnesses, she also completed an intensive Yoga Therapy course at an ashram in Kerala, India. And now she is in her element, travelling and teaching yoga with passion, reverence and dedication. Correct alignment is important, as is the raising of our awareness of something deeper – in every movement and breath throughout a yoga class. Lu is excited to share her practise and love of yoga with you! She is also an ayurvedic therapist, world traveller and trekker, and enjoys practising and studying ayurveda, yoga and meditation daily. Yoga flowed into Joe’s life in early 2012. After healing a broken foot, Joe was looking to find a new way to bring balance into his life. Little did he know that his practice would go well beyond the physical body, bringing balance to his mental and emotional life as well. He then completed his 200 hour teacher training in Vinyassa/Hatha at White Lotus in Santa Barbara, California to further his own personal practice. Life grew, opportunities arose and soon enough Joe was teaching classes on a regular basis. He appreciates how much his own practice has grown from teaching and continues to strive to not only accommodate his students, but himself as well. 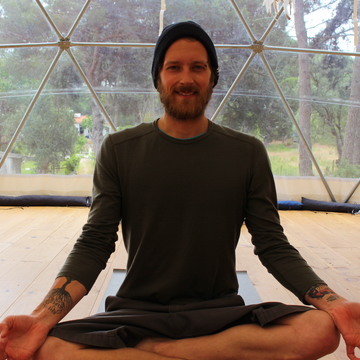 Joe has been studying and practising Yin Yoga regularly with his teacher and mentor Samantha Akers, owner of TheraYoga, since 2016. He completed his Level 1 Yin training in October 2017 and has been teaching Yin ever since. Joe has also been working one-on-one with Samantha to continue his growth in Yin Yoga, as well as assisting her to develop and edit her 300 hour teacher training manual and Yin Yoga book to be published by early 2020. Joe happily lives part time in Northern California, where he teaches yoga, farms/gardens and does freelance writing/editing. He enjoys reading, relaxing, travelling, and pretty much anything outdoors.